From the very early days of Plannuh, we defined the products (and companies) that inspired us. This list keeps us focused on building the right products that our users love, and find indispensable. Mint is the product that has the distinction of being the original inspiration for Plannuh. In fact, we called the project “Mint for Marketing” in our early planning, before we had our own name. For those who aren’t familiar with Mint, it is a personal finance tool that disrupted the category by offering a free solution that easy, and delightful, to use. What I liked about Mint is that it not only made managing your personal finances incredibly easy, but they also tried to help you make better decisions by understanding your financial goals and making recommendations - just like what we are doing with Plannuh. Whenever we make a major user experience decision, we ask ourselves “How would Asana do that?” Asana is a productivity tool that helps individuals and teams manage their work. I find Asana indispensable as a personal productivity tool as well as a team project management tool. One thing that differentiates Asana from the competition for me is the fact that they pack in a lot of impressive features in a system that is clean and elegant. They achieve this through a combination of design aesthetic combined with an intelligent application that presents you with the information that you need. We aspire to build the same kind of clean, clear usability into Plannuh. We also admire their business model - you can start with Asana for free as an individual user, and then expand to your team inexpensively. Sounds just like Plannuh! DropBox is one of those applications that needs no explanation. They achieved this level of ubiquitous awareness by focusing on a simple, universal problem (storing and sharing stuff online) and solving it elegantly. Because of the nature of sharing information online, DropBox is a highly viral application. How do you stay competitive in a market where you compete against the likes of Google on the consumer side and Box on the enterprise side? By staying focused on the problem at hand and deeply integrating your product into your users’ ecosystem of applications. That is why we are so focused on the marketing budget problem at Plannuh, and why we are integrating into all the systems that our users depend on in their daily work. Slack has tapped in to the explosive growth of virtual teams. If you work in an environment that is distributed by geography, work with a network of external partners, or just hate email - then you probably use Slack. 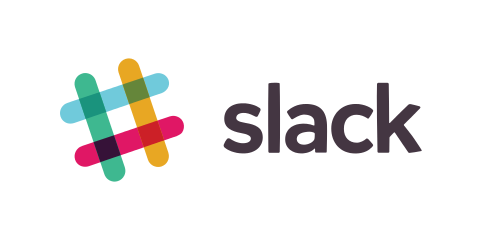 While the dynamic growth of the Slack business is an inspiration in its own right, the characteristic of Slack that inspires us the most at Plannuh is their “brave” business model that only works assuming that their customers continue to use their product for the long term. That means that Slack users can start for free and only convert to a paid model when they reach the point of being part of the culture of doing business. We love that focus on customer value at Plannuh and strive to build the same kind of relationship with our users where they never think twice about subscribing because they are getting so much value.